Allies of both House Speaker Joe Straus and challenger Scott Turner are calling for a record vote in January when House lawmakers convene to elect their leader. Such a record vote hasn't occurred since 1975. The Texas House of Representatives appears poised to hold its first contested vote for House Speaker in 40 years. Supporters of both Speaker Joe Straus of San Antonio and challenger Scott Turner of Frisco are vowing to force House members to take a record vote on Jan. 13 — the first day of the legislative session — on who they want to lead the lower chamber. Such a vote has not taken place in the Legislature since 1975, when a contentious open race for speaker led to a battle between Democrats Bill Clayton and Carl Parker, according to the Legislative Reference Library. Clayton won with 112 votes to Parker’s 33. In the 39 years since then, the Texas House has held 19 elections for speaker. Each time, according to state data, the race was uncontested, as potential challengers dropped out ahead of time to avoid forcing their colleagues to begin a new session publicly voting against the soon-to-be speaker. “Absent a certainty of winning this contest, at the request of my colleagues, I withdraw my candidacy,” state Rep. David Simpson, R-Longview, said on the first day of the 2013 session, in a speech ending his challenge to Straus’ re-election. State Rep. Charlie Geren, R-Fort Worth and a longtime Straus supporter, recalled that after Simpson withdrew his bid, Straus allowed the chamber to vote for speaker by a voice vote — which doesn't require individual members to record their votes. “Last session, at the request of the people who were against Straus, Joe said, ‘No vote. It’s going to be acclamation,’” Geren said. While both the Turner and Straus camps are calling for a record vote, their reasons for doing so are different. Turner and his allies have said they want a record vote to make crystal clear to the state’s Tea Party groups who backed which candidate. That suggests those groups will use the vote list to target Republicans in the 2016 primary who they don't see as sufficiently conservative. A record vote would prevent any Republican members from falsely claiming that they backed Turner when they actually backed Straus. On Monday, Geren and another Straus supporter, state Rep. Kenneth Sheets, R-Dallas, wrote Secretary of State Nandita Berry, who will preside over the House on the first day of the session, to officially inform her that they plan to call for a record vote. 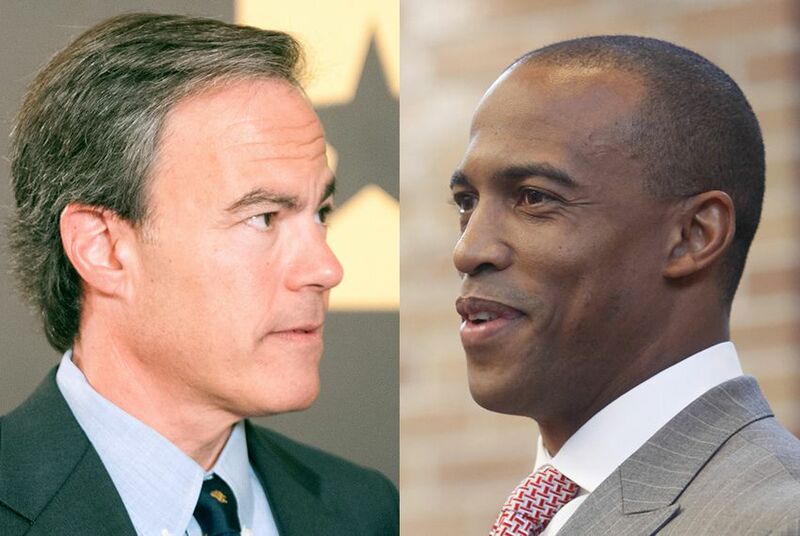 Hours later, Turner wrote to both Geren and Straus, asking that the three lawmakers jointly pen a letter to Berry signaling an intention to request a record vote in order to “eliminate the controversy” over which side wanted the record vote. “Expressing preferences with regard to House leadership on the record is nothing any representative should be apprehensive of, as each member should be free to vote his/her conscience, honoring their principles and serving the interests of their constituents,” Turner wrote in the letter.